The world's first hybrid powered cruise ship just got one step closer to launching on her maiden voyage. 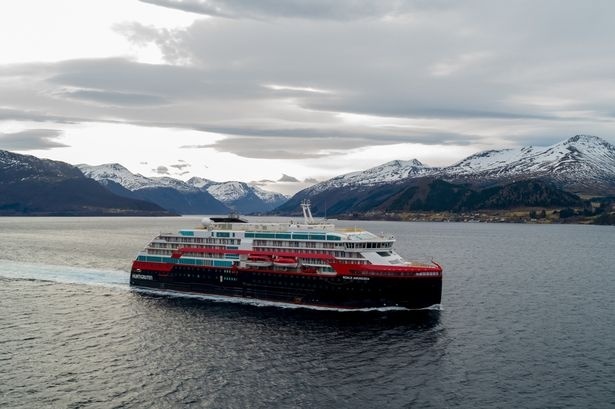 Hurtigruten 's MS Roald Amundsen, expected to make her debut in spring, successfully completed her first sea trials. The expedition ship, which uses green technology such as battery packs and a specially designed ice-strengthened hull, took to the waters in the fjords along the western coast of Norway. The ship is currently being built at Kleven Yard in Ulsteinvik, Norway, and is set to be completed in time for a spring launch. MS Roald Amundsen has been designed to withstand some of the world's most extreme waters. In fact, her maiden expedition cruises will be along the Norwegian coast to Svalbard and Greenland, before crossing through the Northwest Passage and heading south to Antarctica.